GroupAlytics solves the problem of acquiring useful analytics about Facebook Groups from Facebook’s unwieldy Graph API. It also expands on my ongoing durational work Productive Substitute, providing another facet to the documentation I have been compiling. GroupAlytics is a pipeline that strips the Graph API of all data from the life span of any Facebook Group and visualizes the users’ engagement over time in a 3D scatterplot. A user of the service can input any Facebook Group ID (found in the URL of the group) and receive useful and often enlightening analytics as well as a visualization. 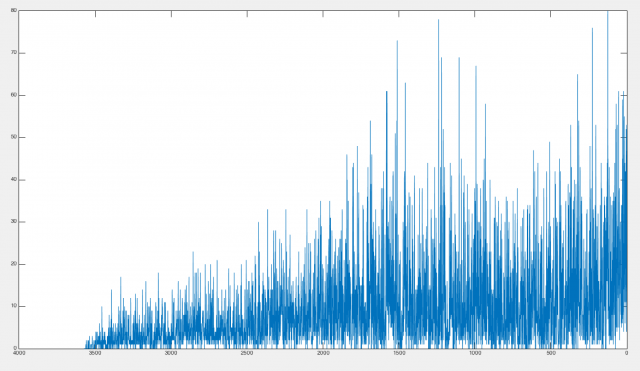 The order of the pipeline is Graph API -> Python -> MATLAB. I’m still working on developing and perfecting it so it is more automatic and so that the end visualization is also web-based (possibly using D3. 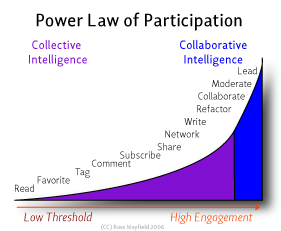 It is interesting to compare the user engagement over time by author ID with the power law of participation, shown below. %doesn't work- why converts strings to ints? ?